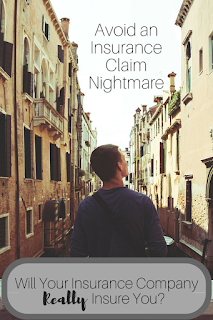 Avoid an Insurance Claim Nightmare - Will Your Insurance Company Really Insure You? By nature, most will agree that I'm a fairly optimistic person. Often, I find myself getting an unexpected reality check. Can you imagine returning from a enjoying time away from home on a relaxing vacation to find that your home has been burglarized, flooded with water, or damaged as a result of an accident? Fortunately, you have protected your investment with insurance. 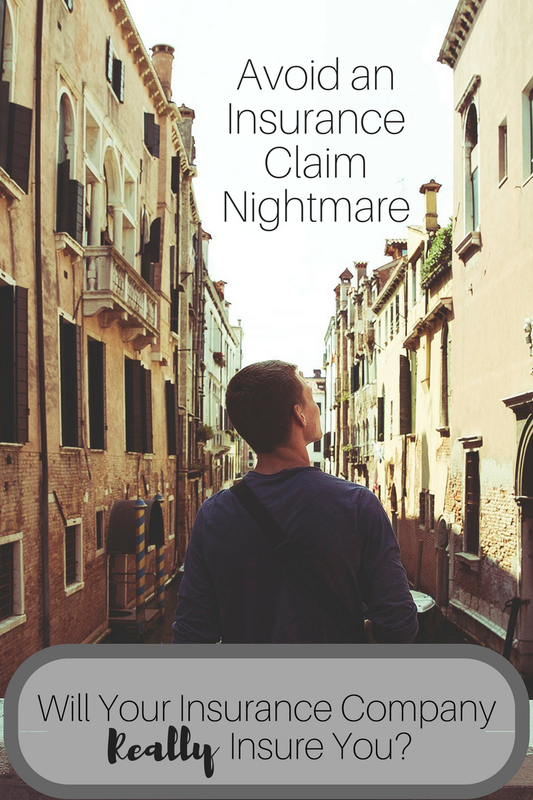 Do you know how to avoid an insurance claim nightmare? 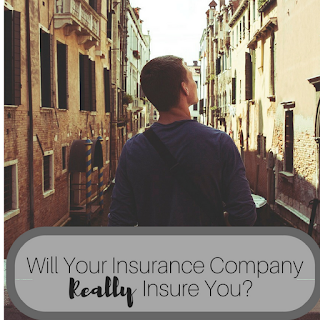 Will your insurance company really insure you? Thank you to the team from Clearsurance for sponsoring this post with a promotional item for the purpose of facilitating this advertorial content. Will Your Insurance Company Really Insure You? All too common, this type of nightmare scenario actually happened to Todd Kozikowski and his family. Following a mishap, an unexpected home renovation gone wrong ended up costing his family their health, their home, and resulted in a very complicated series of legal battles. This series of unfortunate events happened because the family's insurance carrier did not provide accident coverage when the family needed it the most. As a means of paying it forward, Todd has made it a part of his mission to help consumers from encountering the same type of nightmare that his family experienced. Kozikowski and his innovative team recently launched Clearsurance, the world's first company working to bridge the gap between large insurance and everyday consumers. Recently, I had the opportunity to partner with Clearsurance as an action toward bringing transparency to a exclusively secretive industry. With the increasing support of more than 10,000 customer reviews, and impressive industry-leading financial ratings, Clearsurance has become the first-ever 'Yelp' service for auto, home, and renter's insurance. Extremely user-friendly, the sign-up process was quick and easy, instantly allowing consumers to post personal reviews of their experiences with insurance companies on the Clearsurance website. The first step of the process is to go to clearsurance.com to fill out a short form—completely for free. By providing personal insight, we have the power to potentially save someone else from experiencing an insurance nightmare when filing a claim. We would love to hear all about your personal experiences when handling an insurance company while filing a claim. How simple or complicated was the process? Was the insurance company cooperative? Demanding? Head over to clearsurance.com to leave a review and share your thoughts about your insurance company. You never know, your experience review could possibly help someone avoid an insurance claim nightmare tomorrow by paying it forward today.